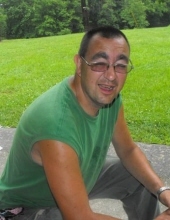 Richard Brian Burchett, age 52 of Stanville, Kentucky, passed away on Sunday, January 13, 2019 at Cabell Huntington Hospital, Huntington, West Virginia. He was born February 25, 1966 in Pike County, Kentucky to William & Sue Gibson Burchett of Tram, Kentucky. He was the husband of Tabatha Lewis Burchett. He was a member of Church of Christ, Mare Creek, Kentucky. Along with his parents and wife he is survived by his Son: Richard Burchett Jr. of Tram, Kentucky; Daughter: Joanna Burchett of Stanville, Kentucky; Like a Daughter: Alexis Reed of Stanville, Kentucky; Brothers: James Burchett of Salyersville, Kentucky & Eddie Burchett of Tram, Kentucky; Sister: Beverly Hamilton of Grethel, Kentucky; Grandchildren: Megan Little, Sara Martin & Marshall York; Great Grandchildren: Bradyn Parsons, Millie Collins & Jansen Jarrell. He was preceded in death by his Son: Brian Douglas Burchett; Brother: Kenneth Burchett. He will be missed by all that knew and loved him. "Email Address" would like to share the life celebration of Richard Brian Burchett. Click on the "link" to go to share a favorite memory or leave a condolence message for the family.